Can we find engaging ways to give Pulses more of a centre stage in 2016, to build our Green Capital legacy? Growing, cooking and eating them in and around Bristol? Flexi Bristol has designed some Brilliant Bean school workshops with fantastic materials that can be used for further work with children: these should soon be available online, but the organizers can be contacted by their websites athttp://flexibristol.org/ and http://www.artfulfutures.com/ . There are some interesting ideas on the official IYP recipe page at http://www.pulses.org/ . And of course many more locally-procured recipies here: http://www.veganrecipeclub.org.uk/ . This is all most pertinent following the landmark Paris Climate agreement, since this needs to be followed up by action and pulses provide the major part of the solution to climate emissions from the food system. 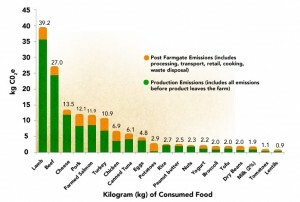 http://www.ewg.org/meateatersguide/a-meat-eaters-guide-to-climate-change-health-what-you-eat-matters/climate-and-environmental-impacts/ . The main chart shows the much lower life-cycle climate emissions from beans, lentils and tofu (simple protein-rich product made from soya beans) compared to animal sources: meat (yes even grass-fed! ), cheese, fish and eggs.